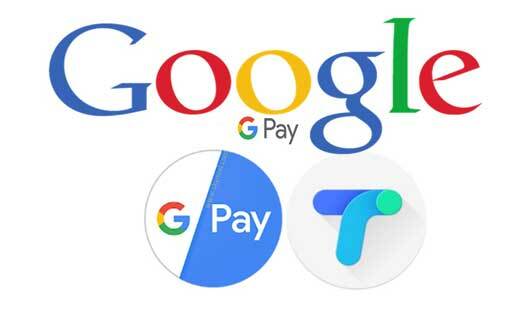 Google Tej is also called Google Pay app. It is the fastest digital payment app for India. If you have any issue or query regarding this app then you may call at his given helpline number. It is very useful, faster and secure app. You can easily pay to your biller, send or receive money to your account without sharing bank or other details. With the help of Google Tej App you can get the benefit of given features, have a look. Google Tej app allows you to quickly and easily send money to other person. You just put UPI ID and amount, your money quickly transfer to receiver account. There is no need to register your bank account, IFSC code with this app. Sometime few personal give different excuse like we are unable to link your bank account with his account to transfer the money or not receiving OTP and others. But after installing this app at your Android phone they don’t have any choice or excuses. You just keep demand to your friend for money, he will received a notification regarding this matter. After the approval he must transfer amount at your phone. Bill payment is very easy with Google Tej app at your Android phone. First time you need to register the billers after that you will get the notification to pay the bill amount. You just have to give the approval and your bill payment is done. You can pay your DTH, Gas, Electricity and other bill payments via this app. QR stands for Quick Response Code. There are lot of locations where you can use QR code for instant payment. Google Tej app allows you to quickly scan and read the QR code of biller and instant payment to him. There is no need to get his mobile number or UPI ID. If you have used PayTM or Mobikwik before, then you know very well, that these mobile apps had to put money first. To have to transfer some money to your PayTm Wallet and then after send request for mobile recharge or transfer money to other wallet. But, the role of middle man has to end by the Google Pay app. Now, you can directly recharge your mobile phone, payment to biller, transfer to money to other account very easily. Cash mode in an important feature of Google Tej app, which is developed by the Google. With the help of Cash mode feature you can quickly sending money to your nearby person. You can quickly transfer money to other person via digital way. You have to keep your phone and receiver phone nearby and transfer the fund from one account to another. The security arrangements have been made in this UPI app. Google made a fast shield which allows you to fast and secure fund transfer. The fast shield not only protect you with unauthorized persons, fraud but also certifies your identity. You can use lock system, fingerprint feature to lock your Google Tej app at your Android phone. This is separate feature to the Businessmen. In your business you can easily collect the payment with your customer’s with the help of this feature. Google Tej for business feature works just like a BHIM Merchant account, but need a current account to get the benefit of this feature. After register yourself you can get up to 50K with your customer without any additional charges. If you have any issue or query with Google Tej app then you can call at his helpline number.